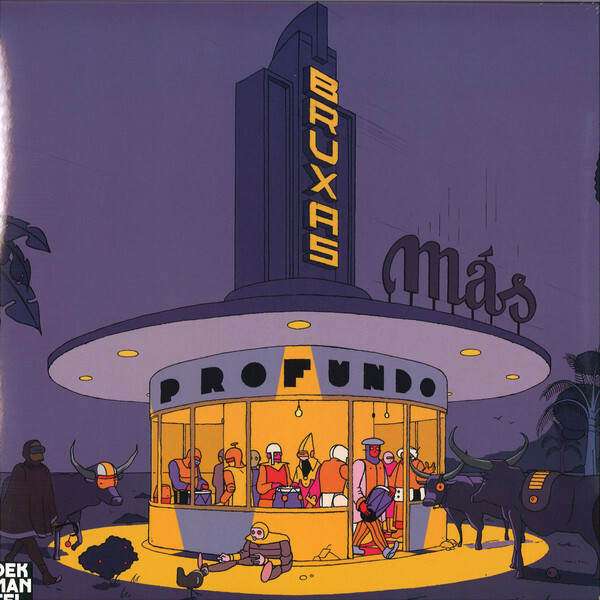 I tried to catch Bruxas’ Más Profundo when it first came out in June, but it had already eluded me. This week, Dekmantel have pressed another batch of this transatlantic gem, a balearic Lusophone disco hybrid that is already going down as one of the best releases of the year. Title track Más Profundo recalls Ibiza beach whispers in sultry Portuguese female vox reels. This track, like the rest of the EP, manages to build itself around balearic sensibilities without ever dropping the tempo. Tropical birds perch on synthesisers; nature floats by in 4/4 time. Sizzling, swirling and psychedelic, by the time it fades out, you wish it could go on forever. Luckily, Tropicaçovas kicks it up a notch with the filthiest rhythm section this side of Bahia. Bruxas marry these traditional elements of Lusophone dance music with classic disco-era keys and arpeggiators to dazzling effect. On the flip, Selva Cósmica stomps and trips along under Baldelli-style synthscapes, whisking you to the darkest of leaf-strewn Amazonian hideaways. Finally, Plantas Falsas digs into a cunning nu-disco workout as the sun drops low. In 25 minutes of fuzzy balearic disco bliss, ‘Más Profundo’ sums up the entire 45turns ethos. An essential of 2017. You can pick up ‘Más Profundo’ on 12″ vinyl at Dekmantel. Also like 45turns on Facebook for tons more next-level wax. hey really nice!! Im brazillian and i think it’s hard to find some lo-fi house tunes with a brazillian touch, this was a gem to find! thanks for sharing and keep up the good work man!